President Barack Obama once told Americans they cannot have everything they want. 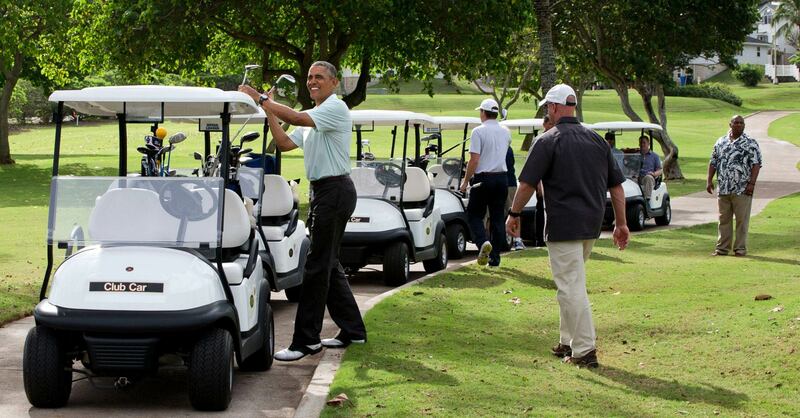 Meanwhile, the presidential vacation to Hawaii is burning a hole in the federal budget to the tune of about $470,000 a day, according to federal documents provided to the taxpayer watchdog group Judicial Watch. 2008 while campaigning for office. “That’s not leadership. That’s not going to happen,” he added. Judicial Watch found that in 2013-14, the Obamas spent $91,751.78 in car rental expenses. Judicial Watch said that all of Obama’s travelling has cost the American people $70,880,035.78.